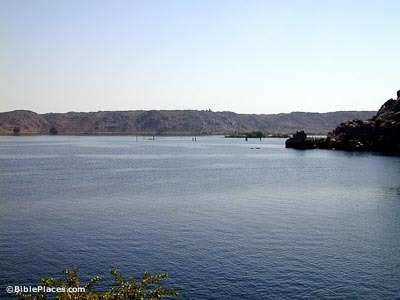 The island of Philae was completely submerged with the construction of the High Dam. 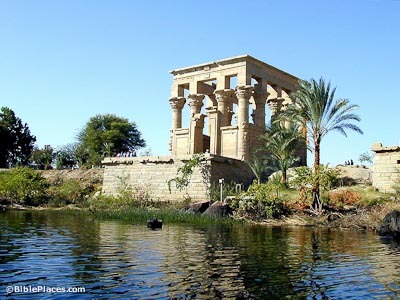 Before this, visitors could view the partially submerged ruins of the temple of Philae on rowboats. The construction of the High Dam necessitated the removal of the island monuments to the nearby island of Agilika. The earliest cultic structures at Philae date to the 25th Dynasty, and the site became significant only in the Greco-Roman period. The temple was dedicated to the goddess Isis, particularly popular in the Roman era when pilgrims would travel to this temple from all over the Mediterranean world. The island flourished as a worship center until closed by Justinian in the 6th century AD. The western colonnade of the Philae Temple had 31 columns; the eastern colonnade was never completed. The first pylon (pictured on left) was constructed by Ptolemy XII. An additional entrance was built through the pylon on the left side for passage to the birth house. The second pylon (behind first pylon; out of view) was built by Ptolemy VIII. The passage through this pylon leads into a hippostyle hall and the sanctuary of the Temple of Isis. Known to the locals as “Pharaoh’s Bed,” the Kiosk of Trajan originally served as the main entrance into the temple from the river. The architraves are supported by fourteen columns, but the wooden roof has not been preserved. Inside the Roman emperor Trajan is depicted making offerings to the Egyptian gods. Download all of our Egypt photos! Trajan’s Kiosk – Pharaoh’s Bed (Tour Egypt) Briefly describes the Kiosk of Trajan, plus provides a couple of old images and a modern photo. 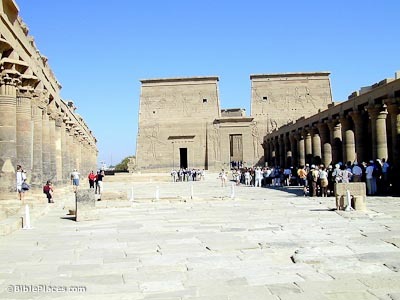 Philae Temple Complex (Tour Egypt) Provides a good introduction to the site and useful information about visiting. Has a few good pictures and some links to related topics and maps. Philae Temple (Egyptian Monuments) Lengthy description of the site with some tips on visiting. Temple of Isis (Personal Webpage) Displays some of the site’s features through photos and explanations. 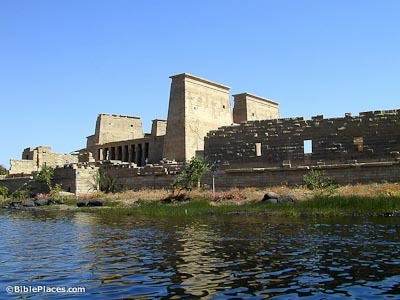 The Sacred Temple Island of Philae (Personal Webpage) An extensive collection of pictures, maps, diagrams and articles about Philae. 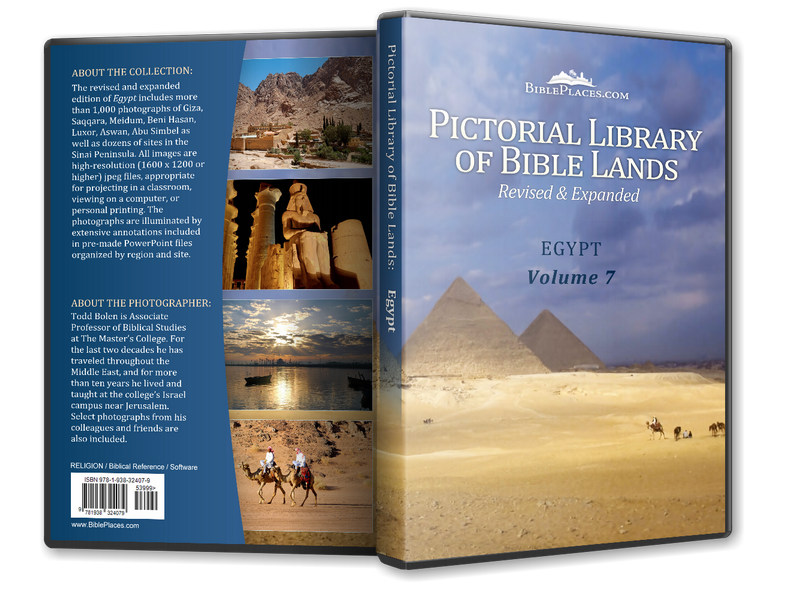 Includes studies of the site’s history, structures, religious practices, and conservation. Tour Philae Directory (EgyptArt) A short virtual tour of the island with an interactive map. Temple of Philae (Personal Website) Several high quality photos of the site, including a model of the temple.